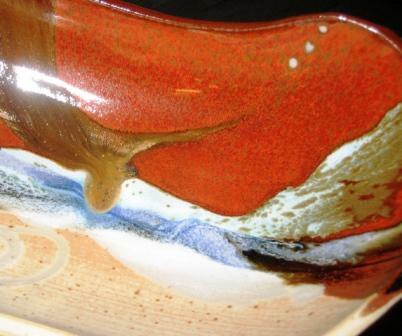 There is a good range of quality studio pottery by Ric & Judy from Beechworth. 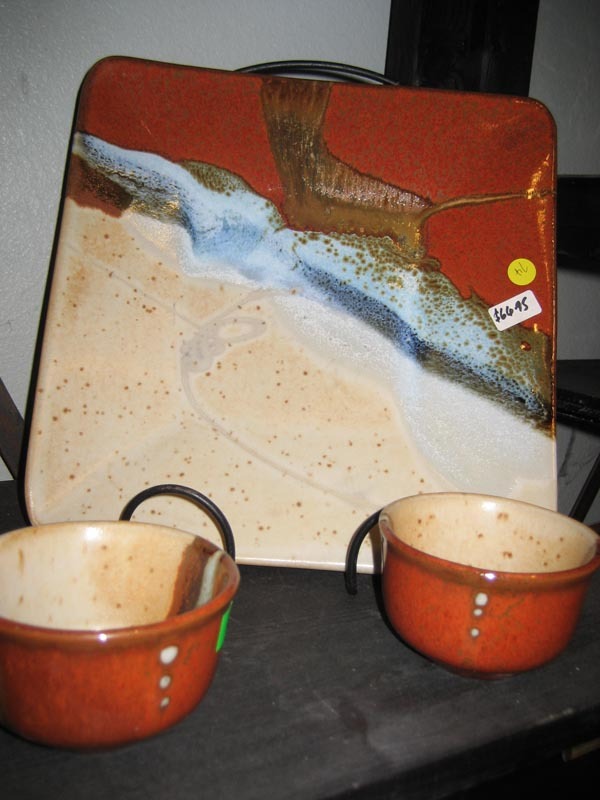 The stoneware pots are glazed with copper red & black ; Outback or royal blue glazes. 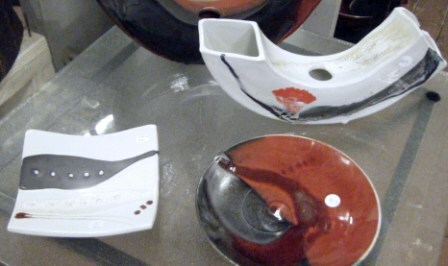 Judy Pierce is… An award winning full time studio potter for 30 years, Judy has exhibited in Australia, France & India, developing a distinctive modern range of pottery that is in demand around the world. 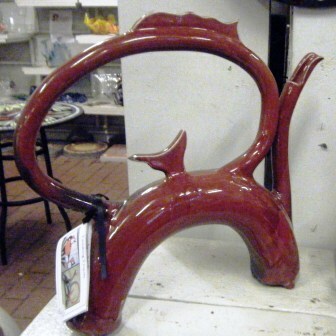 Judy’s work like her well known tantalizing teapots is enhanced by her decorating style using homemade brushes for long loose brush stokes that give depth and texture to the finished pots. 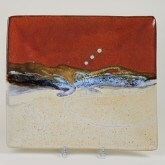 Ric Pierce… A leading professional Australian potter who has exhibited in Australia, France and The USA as well as teaching glazing techniques in India, Ric’s one rule is all work at must stop at 10 AM for coffee. 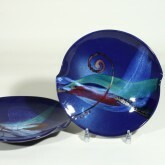 Ric creates hand crafted pottery with popular bold designs often inspired by classic Art Deco. 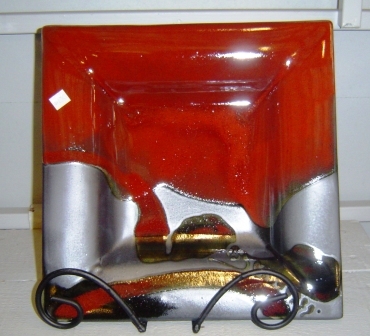 Each pot is finished with his quality glazes, like copper red or new crystalline technique, enjoyed by customers and collectors worldwide for their rich colours.